As the adorable little girl handed me a taco out of the window of her family's food truck, I was conflicted. As delicious as it looked, and as endearing as her smile was, we had just spent the last few days stuffing ourselves, and the last hour or so on the Columbus taco truck tour. And to be honest, I had had taco-itis. David and I compromised by splitting tacos between the two of us. Julie, also on the taco truck tour, (part of an all-expense paid trip to Columbus from Experience Columbus) was on her own. I have no idea how she managed not to fall over. 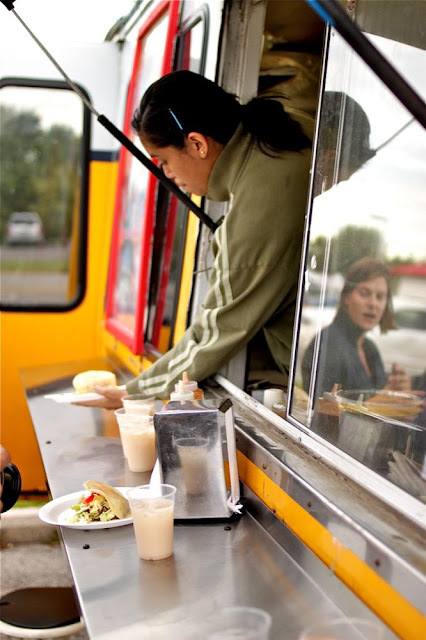 Columbus has a crazy taco truck scene. David and I had no idea. 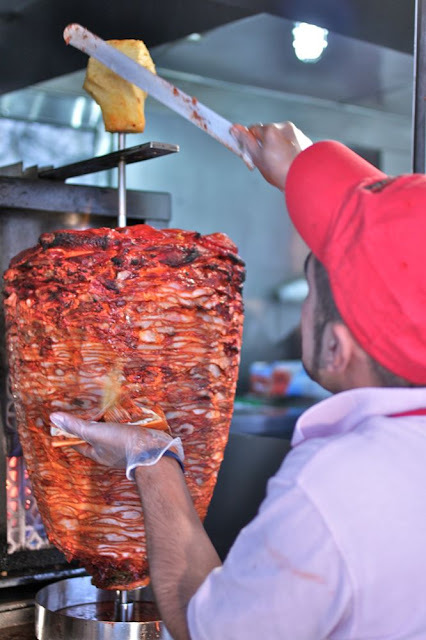 We hit 5 taco trucks and a Mexican grocery, and there were dozens more we didn't visit. Of the ones we did visit, we had some phenomenal tacos, though I'm sure some are better than others. 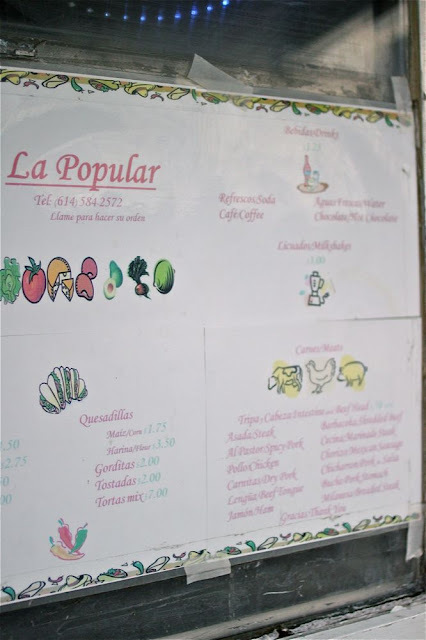 We started our trip at La Popular, a small truck next to a nondescript payday loan joint. Apparently they are known for their avocado salsa, which has quite a kick, and the cabeza tacos, which we can vouch for. 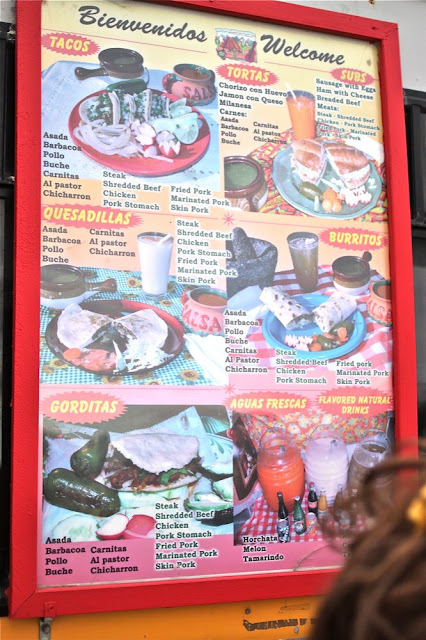 Following that, we visited Taqueria Little Mexico for gorditas. Taqueria Little Mexico has been a food truck so long, they even have their own electrical hookup, in the middle of a gigantic parking lot. 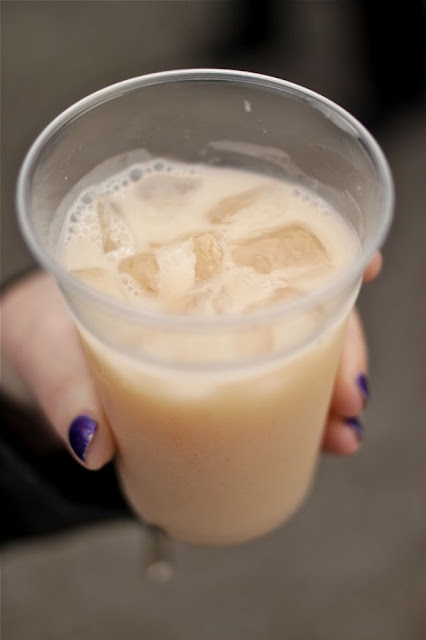 I tried horchata for the first time, which is amazing stuff. Los Gauchos was next, which was the most impressive of the tour. Sitting next to a nightclub, they have a style of cooking meat we've never seen applied to tacos before, and it impressed Serious Eats so much Los Gauchos was named one of the best tacos in the US. I liked the roasted pineapple on the taco, it was a nice touch. Los Potosinos followed. They featured pollo al carbon, which is grilled chicken cleaved into large chunks similar to the way jerk chicken is served. We also tried some prickly pear and a spicy tostada that's rumored to prevent/cure your hangover (should you have one). Las Delicias was last, and we stopped there for dessert. They had some frozen sorbets called "nieves." The most bizarre flavor they had was burned milk, which is...interesting. 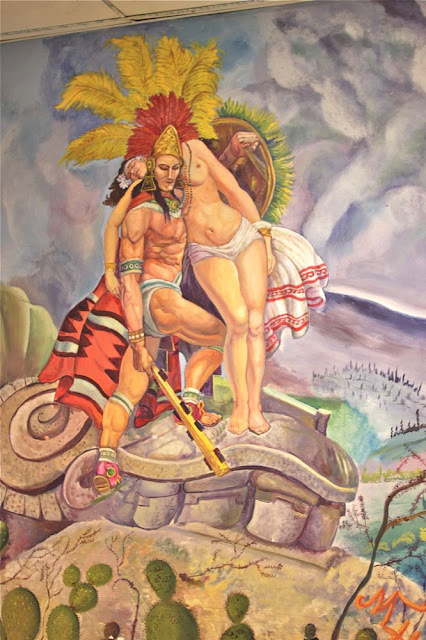 We rounded out our tour at a Mexican grocery, where we found a wall of beans, pork rinds as big as your hand, lots of fresh peppers and an ... interesting ... painting in the lobby. 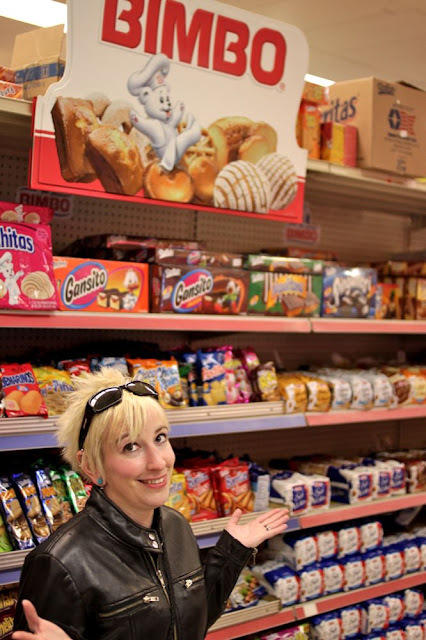 "David...why do you want me to stand here so you can take a picture of the snacks? Hey, wait a second..."